Wednesday Jamb Results Are Out. 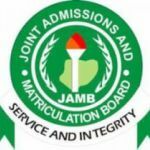 This is the news every Jamb candidate who wrote exam on 17th May 2017 will want to hear. Few days ago, Jamb officially released the results of those who wrote 2017 UTME on Monday and Tuesday. It is no news that those who wrote Jamb on Saturday have long ago seen there results and awesome scores were recorded. If you wrote Jamb on Wednesday and would want to check whether your result has been uploaded online, click here to see it. Did you see your result? If yes, feel free to share with us. On the other hand, if your result is yet to be uploaded, just keep trying. Having seen your Wednesday result, another question comes to mind, “what Jamb score will guarantee my 2017 admission”? I have written on that already….